Calabasas kitchen remodeling is one of Overland Remodeling & Builders’ proudest accomplishments. Calabasas is an absolutely beautiful and affluent city in Los Angeles County, California. Here are some interesting statistics that really spell out the youthful energy that resides in the community. 75.4% of the residents were over the age of 18 years old. So based on those numbers — and the community is growing — it’s definitely a vibrant environment full of young people and families. And it’s no surprise as the weather is perfectly temperate, the schools are good and it’s a short commute to Los Angeles. You can expect to enjoy a comfortable low 60 to 90 degree temperature during the summer months and a low 40s to 60s in the winter. Located just west of the San Fernando Valley in the Santa Monica Mountains, it was named from the Spanish word calabaza meaning pumpkin or squash. Nestled between West Hills, Hidden Hills and Malibu, California, it is a gateway to the Santa Monica Mountains National Recreation Area and for nature lovers, it remains a hub of picturesque landscapes. It has also become in recent years, as one of the most progressive ‘green’ cities in LA County. As a ‘green’ work in progress, the City of Calabasas is working closely with Los Angeles County to provide energy efficient retrofits to its residents. LA County has invested approximately $11 million in federal grants to build a PACE program to serve the county’s nearly 10 million residents of which Calabasas is a part. The program is designed to encourage private home owners to invest in energy efficiency retrofits and is an integral part of a larger home retrofit initiative. 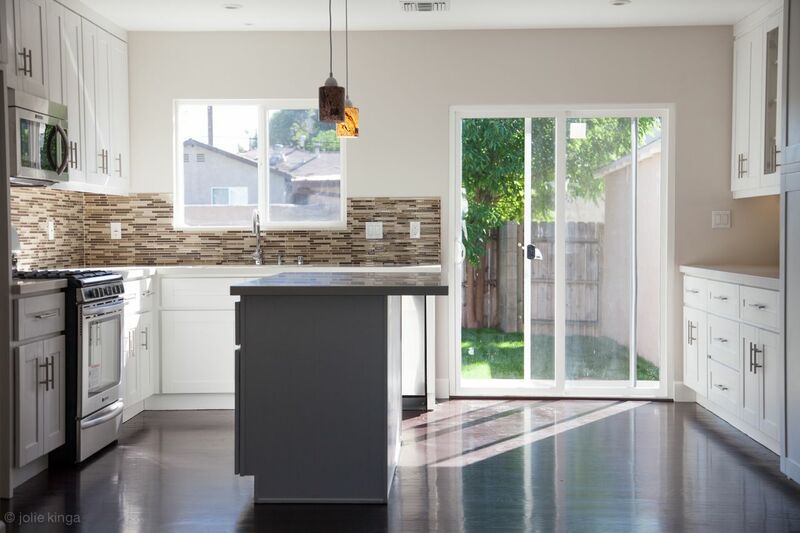 As a ‘green’ builder, Overland remodeling specializes in energy efficient kitchen remodeling and enjoys a thriving business in and among the community of Calabasas. When you decide to work with Overland, you will always be working one-on-one with founder and master contractor, Shahar Giladi. You can be assured that meticulous attention to detail will be paid to a beautiful, yet energy-efficient outcome. Your kitchen remodel will be built in the most ‘green’ way, while still maintaining the impeccable design and overall aesthetic flow of your entire home. Overland Remodeling & Builders will transform your kitchen remodeling ideas into a customized kitchen remodel that is built based on your individual design ideas and input. In your first consultation, you will decide on the overall design, selection of cabinets, style and types of lighting, kitchen appliances, counter top material and overall efficient energy strategy that meets your budget and desired look. You will be presented with all of the available options on the market to make certain that our final plan, suits your current lifestyle and individual taste. Understandably, remodeling a kitchen is a big task, and it’s normal for you to feel a bit of trepidation as there are many decisions to be made. But Shahar Giladi will personally walk you through each step to ensure that you have all the knowledge you need to make confident and informed decisions. Because ultimately, you have to love your remodeled kitchen! For expert kitchen remodeling in Calabasas, contact Overland Remodeling & Builders today at (866) 424-5184 for a consultation.